I love birthday treats. They love me so much that they stick around long after I’ve eaten them. 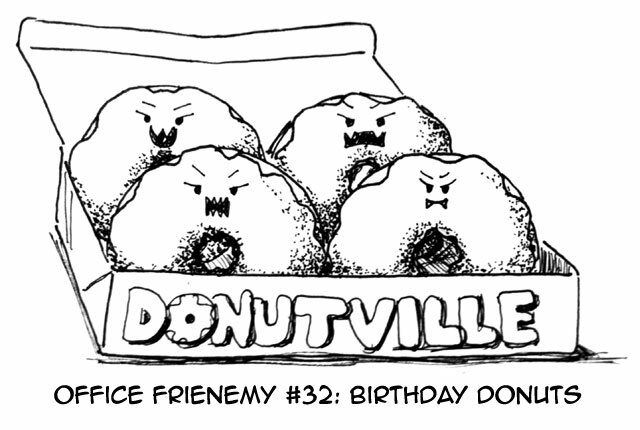 This entry was posted in Art, drawing, Humor and tagged cartoon, comic, donuts, Drawing, frienemies, frienemy, health, Humor, office. Bookmark the permalink.